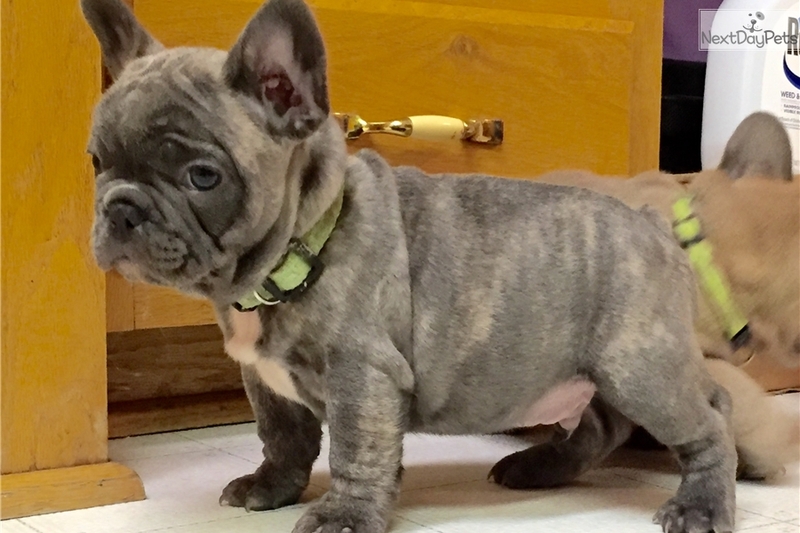 This French Bulldog sold and went to a new family. Brody is a beautiful brindle (possibly reverse brindle) frenchy that has a wonderful temperament and would be a great addition to any home or apartment. His playful disposition will melt your heart and you will want to snuggle all day. His dad is blue and mom blue/brindle. They are very smart and eager to learn and so will this puppy. He comes with AKC paperwork, shot records, pedigree and health guarantee. $2200 limited registration.